With a focus on vintage, I feel a bit weird writing about new products. The more I do, the more I laugh at myself for ever assuming any article of fashion isn’t vintage-related, fashion being a constant cycling of interrelated trends. Though everyone has moved on to fall and winter footwear, I couldn’t resist getting these sneakers (in the black), and they are very vintage. They’re designed for jogging, but my real jogging shoes are not as much fun to look at–and they’re comfortable and well made too. 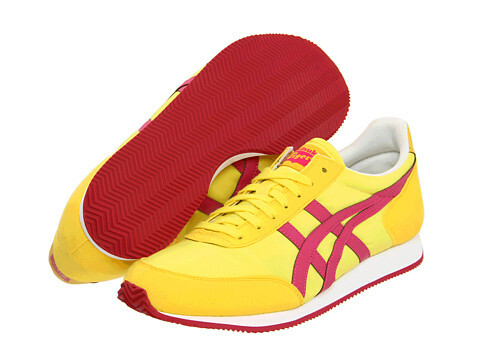 According to maker Onitsuka Tiger, the vintage look is intentional, designed to evoke their Olympic medal-winning athletic footwear of the 50s, 60s and 70s, right down to the signature Tiger stripes that debuted in the Mexico ’66 model and Games. 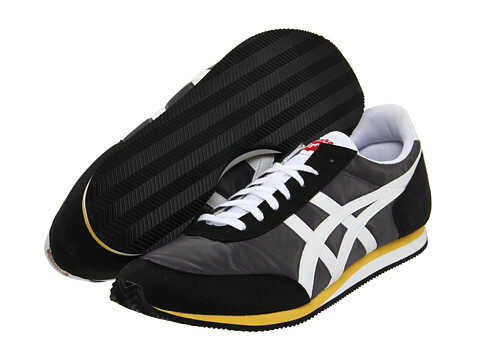 Founded in ’49 by its namesake, Onitsuka is one of Japan’s oldest shoe companies, and it joined forces with two other companies in the 70s to form what we now know as ASICS. In fact, it was a local California distributor of Tiger operated by Phil Knight that broke with the company to design its own “Cortez” shoe based on Onitsuka’s “Corsair,” calling his new store “Nike.” How’s that for vintage? !